An excellent resource is now available from the Media Magazine Website. 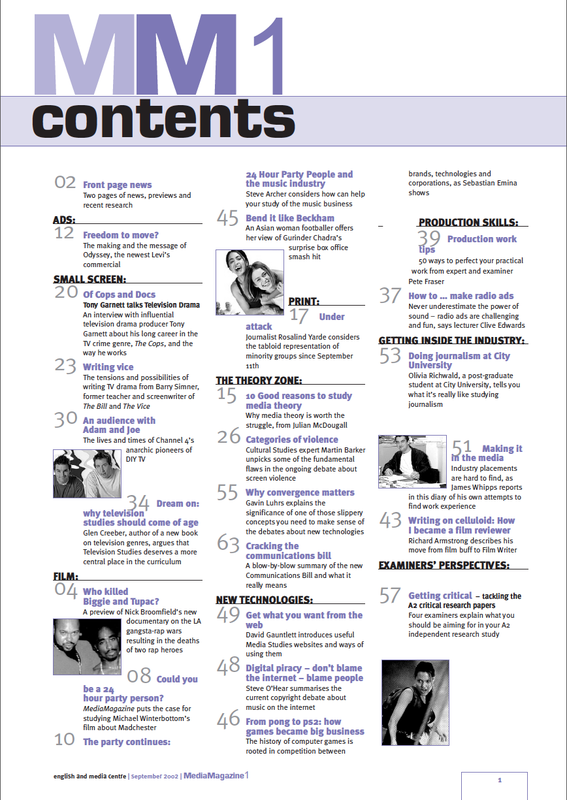 A file containing all the contents pages of Media Magazine from issue 1 to 46 can now be downloaded. So – the full archive is now listed in one place and with electronic issues (after issue #25) and the searchable archive it’s never been easier to find articles! Here’s what was in issue #1 from way back in 2002!! 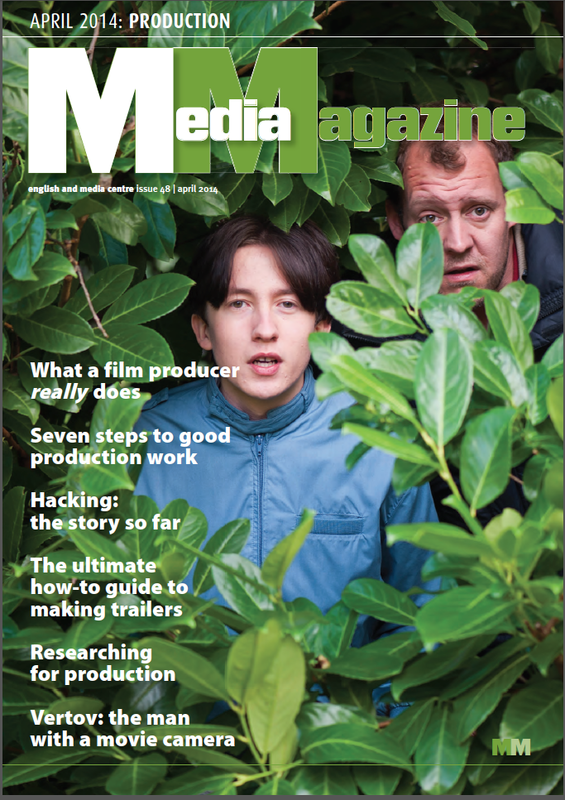 A new Media Magazine is out now and there are lots of hints, tips and insights related to media production in this issue. My own contribution attempts to offer some help relating research to the planning and production of practical coursework. The issue is packed with useful articles including Nick Lacey’s discussion on art vs commerce, Alice Grahame on transmedia production and a summary of the hacking scandal by Harry Cunningham – all just in time for exam prep! 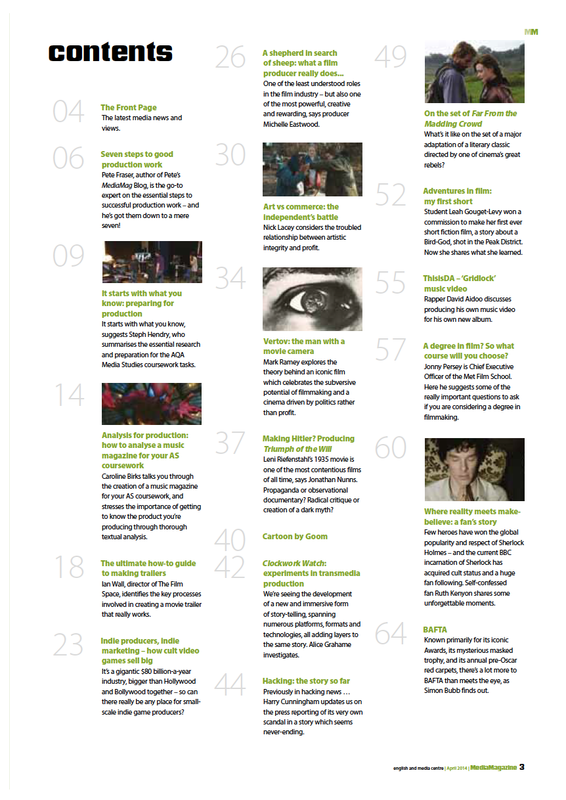 See below for this issue’s contents page.